I’ve been a big fan of essential oils for the last 5 years. I use them in many of my homemade beauty recipes and homemade cleaning products. I believe essential oils have great therapeutic properties, and are a healthy addition to many homes. 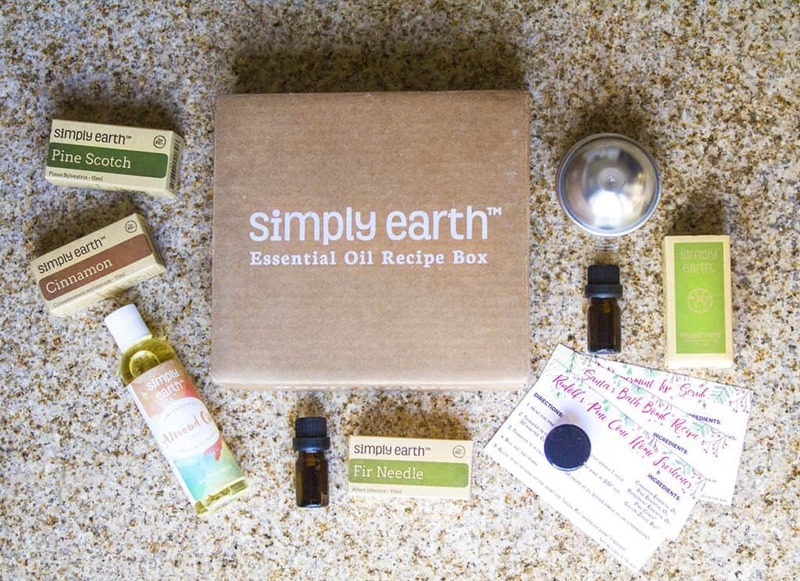 For the last year, I have been enjoying Simply Earth’s Essential Oils Subscription Box, and have loved learning new ways to use essential oils in my home. The first time I tried Simply Earth essential oils was last year. I can tell you that I have tried many different brands of essential oils. 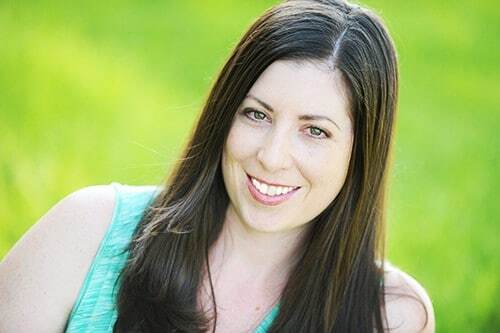 I’d gotten to the point where I was frustrated with the way some multi-level marketing essential oils were pushing sales and promoting internal use of essential oils, which I believe is unsafe. I also feel that the essential oils are way over priced. When I found Simply Earth, I was impressed. They sell directly to the consumer, and through retailers like Amazon, at extremely affordable prices. We are talking HUGE savings! Once I tried out their oils, I discovered the quality was as great as, if not better, than all of the other essential oil brands I have tried. 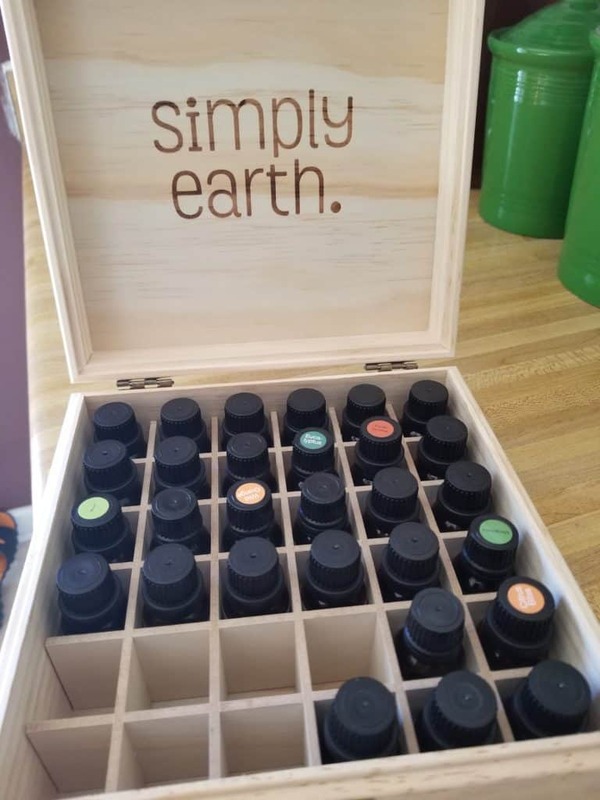 Simply Earth essential oils are tested 100% pure with no additives and no fillers. 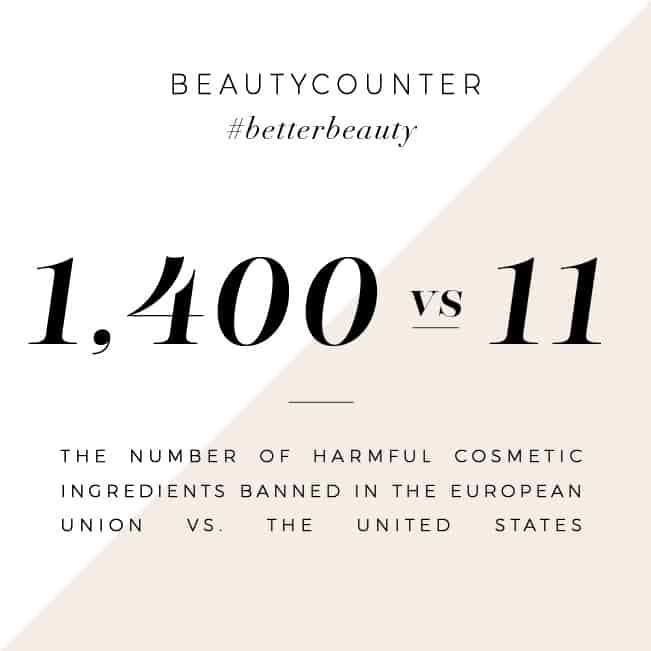 When I learned that they are a philanthropic organization – giving 13% of their profits to organizations that are fighting to end human trafficking – I knew this would be the essential oil company that I would be supporting. For the extremely low price of $39.95, you can get an essential oils subscription box that contains 4 full-size essential oil bottles, plus extra items to make 3-5 unique recipes. 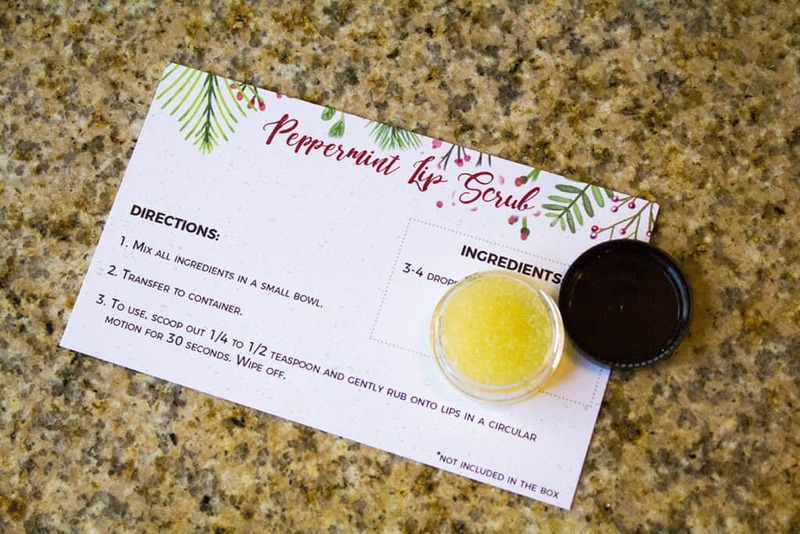 I made the peppermint lip scrub with my 7-year-old daughter, who quickly took ownership of the lip scrub! We both love the smell of peppermint, and she was able to learn how to create lip scrub from a few basic ingredients. Once I was done making Santa’s bath bombs & Rudolf’s Pine Cone Home Freshener, I placed my 4 new essential oils in my box. Then it occurred to me, in just a short amount of time, I’ve been able to almost fill up my essential oil box! This variety and volume of essential oils could have cost me about a thousand dollars through an MLM company. 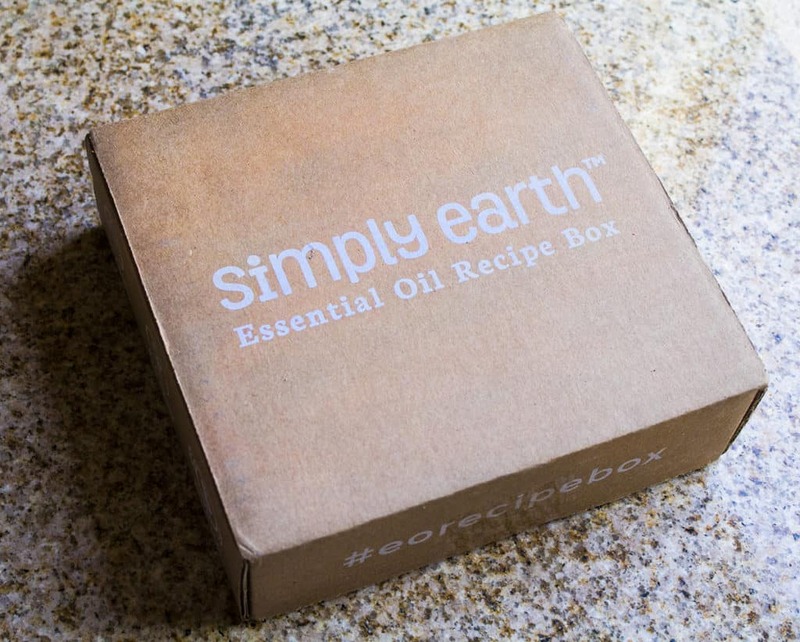 The quality and price of Simply Earth easy essential oil recipes box is impressive! This is an affordable way to learn how to use essential oils, and built your supply of high-quality, pure essential oils! 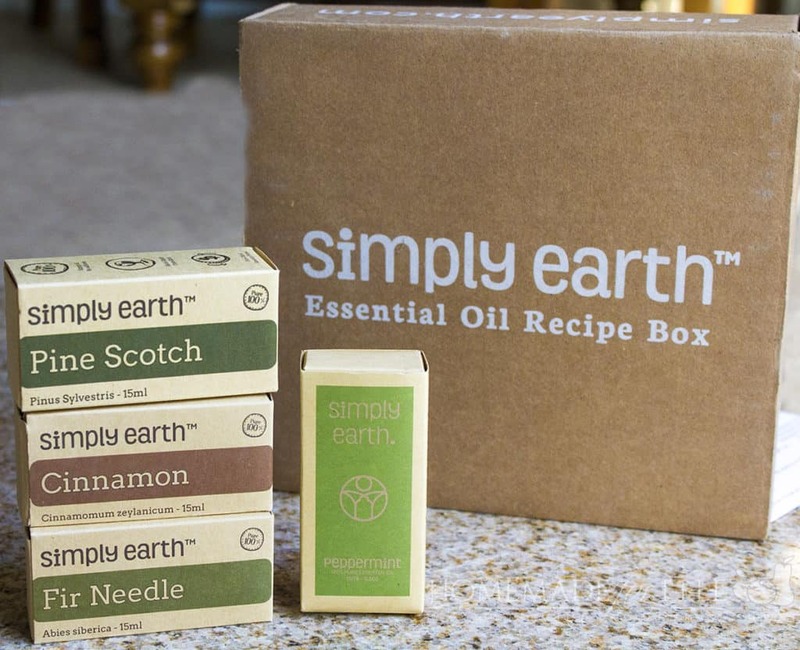 Want to see more of the contents of Simply Earth’s Essential Oils Subscription Box? Here you go! 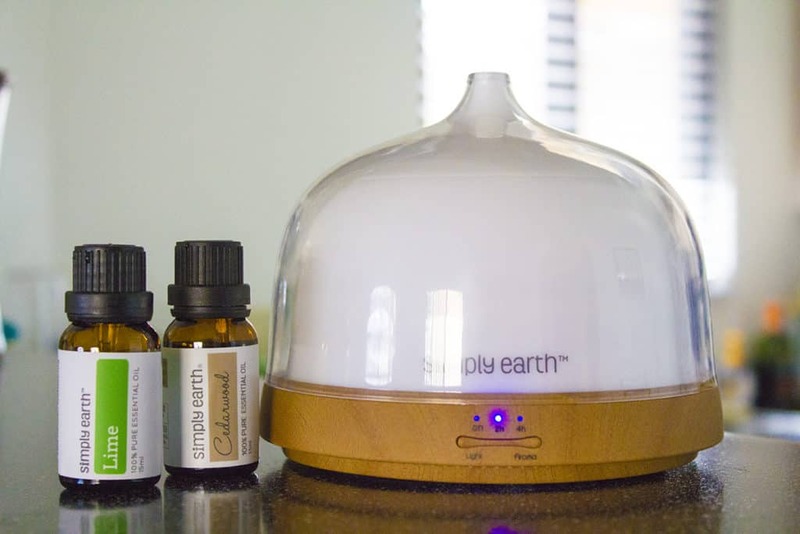 Have you tried Simply Earth essential oils before? If so, leave a comment below and share your experience! I just saw this on your other social media. I am interesting in this box for sure. I think it’s a great way to get more familiar with oils. I got a new oil diffuser last week so I am obsessed with essential oils right now. This subscription box sounds amazing. I would love to check it out. What a fun way to try oils. I like the box that you store them in. I have been curious about trying essential oils. Thanks for the info!